The holiday lull of the MLB hot stove appears to be behind us, and the Philadelphia Phillies have been the first to act. 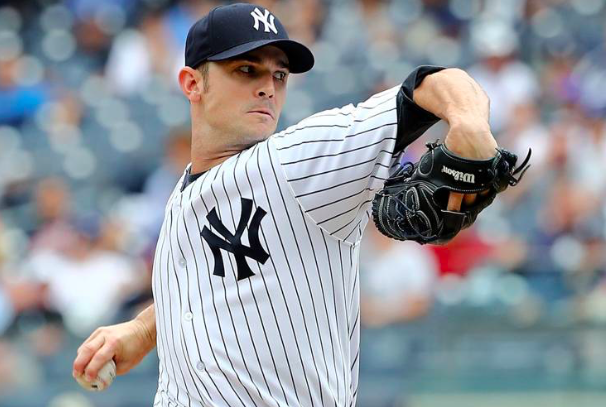 On Thursday, the Phils addressed their need in the bullpen by agreeing to a deal with reliever David Robertson. The sides agreed to a two-year deal worth $23 million, as well as an option for a third year worth an additional $12 million. The 33-year old Robertson was one of a slew of high-level relief pitchers on the market this winter. He’s been one of the most consistent late-inning pitchers in baseball over the past decade. Based on his track record, Robertson will provide an instant upgrade to a Philadelphia bullpen that ranked in the bottom tier of the National League last season and held the Phillies back as they chased the NL East title. For the last season and a half, Robertson has been part of one of the best bullpens in baseball with the New York Yankees. He’s served primarily as a setup man amongst other elite relievers. In 2018, Robertson was 8-3 with five saves and a 3.23 ERA. He will now try to bring that consistency to the Philadelphia bullpen. Of course, it remains to be seen whether Robertson will have a chance to serve as Philadelphia’s closer this year. He was the primary closer for the White Sox for two and a half seasons and also served in that role for the Yankees in 2014. He brings with him 137 career saves, more than any other pitcher on Philadelphia’s staff. But that may not necessarily make him the full-time closer for the Phillies in 2019. Seranthony Dominguez served as Philadelphia’s primary closer during the second half of the 2018 campaign. After the 24-year old posted a 2.95 ERA last season, the Phillies may want to keep him in that role. That would leave Robertson to serve as the primary setup man. It would also give the Phillies a safety net in case the young Dominguez struggles. In addition to Robertson and Dominguez, Philadelphia’s bullpen is highlighted by veterans Pat Neshek and Tommy Hunter. Hector Neris is also an interesting wild card after losing his job as the team’s closer early in the 2018 season. The likes of Victor Arano, Adam Morgan, and Juan Nicasio could also factor into the bullpen equation. The signing of Robertson likely takes the Phillies out of the running for high-end closers like Craig Kimbrel and Zach Britton. However, it remains to be seen whether the Phillies will continue to add to their bullpen this offseason. Robertson will obviously make a difference for a bullpen in need. However, the Phillies may not want to rely solely on their young relievers if they have hopes to be legitimate contenders in 2019.